Last week I had the amazing honor of attending The Art of Love Wedding Show. Hosted by Robert J. 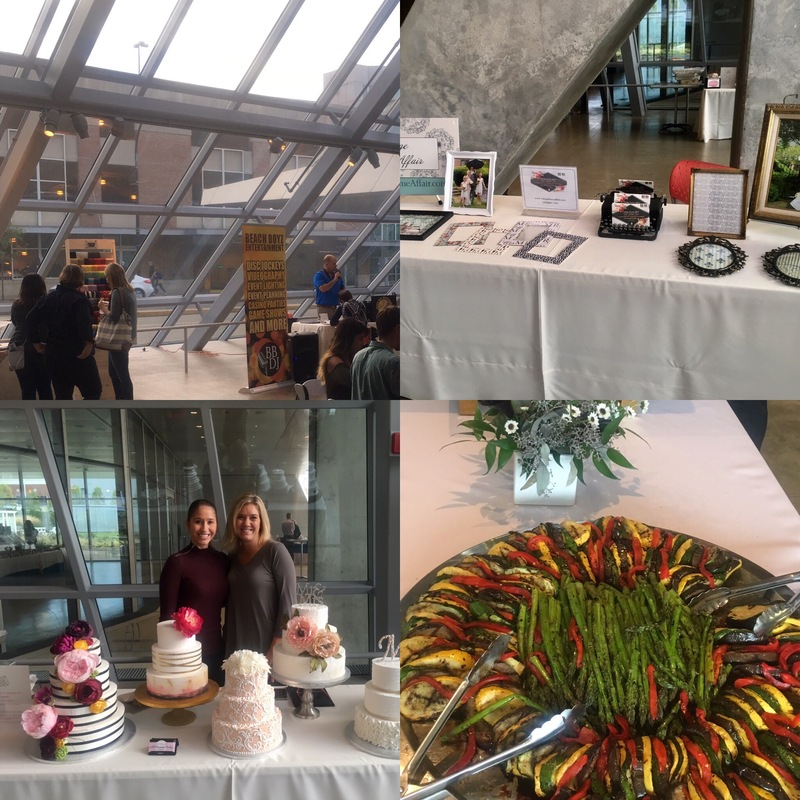 Events at The Akron Museum of Art on October 4th, the venue was gorgeous and the food was amazing! If you have never been to the Akron Museum of Art it is an absolute must see! The open space, modern architecture, and galleries are both clean and simple, yet modern, making it a perfect wedding venue. There is little need for decoration, since the art and design speaks for itself. The food was provided by Robert J Events and the Golden Tier Dinner Buffet with the Griled Vegetable Display was both delicious and visually appealing. Canton Chair rental provided beautiful golden bamboo chairs and were comfortable and of course stunning. Rich Siebert, owner of Beach Boyz Entertainment was upbeat, personable, and had a fun variety of music. All Occasions Bakery, based in Jackson Township provided the wedding cakes. Their cakes were fun, so yum, and the decorating was unique and beautiful. The mother/daughter family owned business was kind and professional. The event was well organized and the welcoming and classy atmosphere definitely made the venue and vendors ones to contact when you are planning your perfect day!